As you may have realised, I have a bit of a problem when it comes to buying nail polish, I love nail polish and rarely do I have bare nails, in fact those 9 weeks of wearing a plaster cast and not being able to paint my nails almost killed me, so much so I took to painting my nails and enduring pain to do so because I was having withdrawal symptoms from not painting my nails on a weekly basis. Goodness knows how many nail polishes I own, but this still doesn't stop me buying more, and if you watch my hauls on my You Tube Channel you'll know that there is always a nail polish or 2 in every haul I upload. At the end of January Models Own hit a milestone of 250,000 likes on their Facebook page and to celebrate they held a 50% off sale off everything on their site including their new range of polishes, the HyperGel range, the range wasn't due to launch until the 19th February and me being impatient and a lover of all things nails, I thought this would be the perfect time to try out some of their HyperGel polishes and also some of their nail art pens (review coming soon) I've never tried any Models Own nail polishes before but since I love having gel nails done at the salon and the look they give I was super excited to try these and with the promise of gel effect nails and on sale for half the price I was sold. HyperGel! 10 brand-new mega-shine shades that are highly pigmented. Enriched with lotus flower oil, the gel-like finish gives the professional shine of a salon manicure. The collection is completed with limited edition colour caps, topped off with colour-matched high-shine swatches on the lids that reflect the gel effect finish of the polish so you can select the perfect shades! 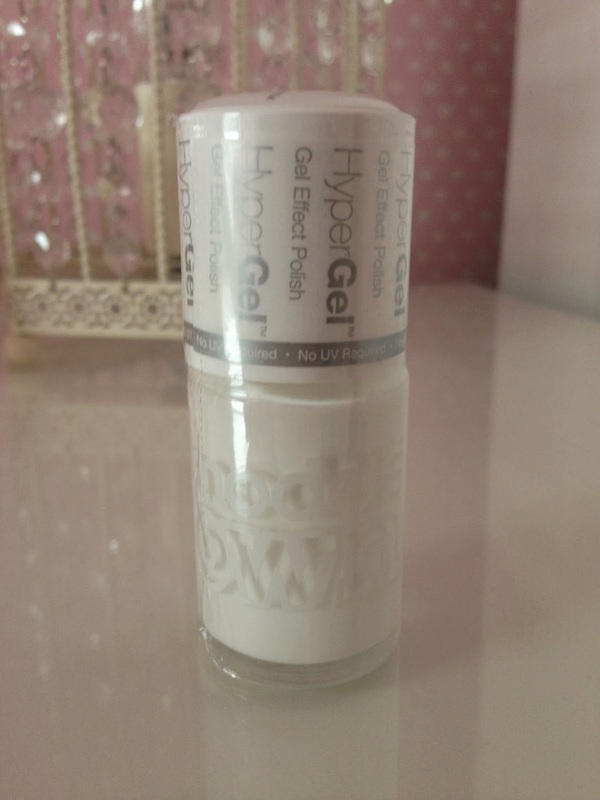 I was so excited to try the HyperGel range, I love the effect of gel nails and have had quite a few gel manicures at my local beauty salon, I love the shine and longevity of a gel manicure but my salon charges £27 so the £2.50 sale price was amazing and to be honest I didn't think £5.00 full price was too bad if the polish lived up to it's claims. I had read quite a few blog posts featuring the HyperGel polishes prior to the Models Own sale and in every post I read, the bloggers had written about the amazing shine the polishes gave, how easy to apply they were, the fantastic longevity of the polishes and how most of the colours only needed a one coat application. I don't normally conform to "blogger hype" because when I have in the past it has never ended well and I haven't had the same opinion as my fellow bloggers, but I thought at half price I'd give the polishes a go. I chose 3 polishes from the range, Cerise Shine, Pink Veneer and White Light. 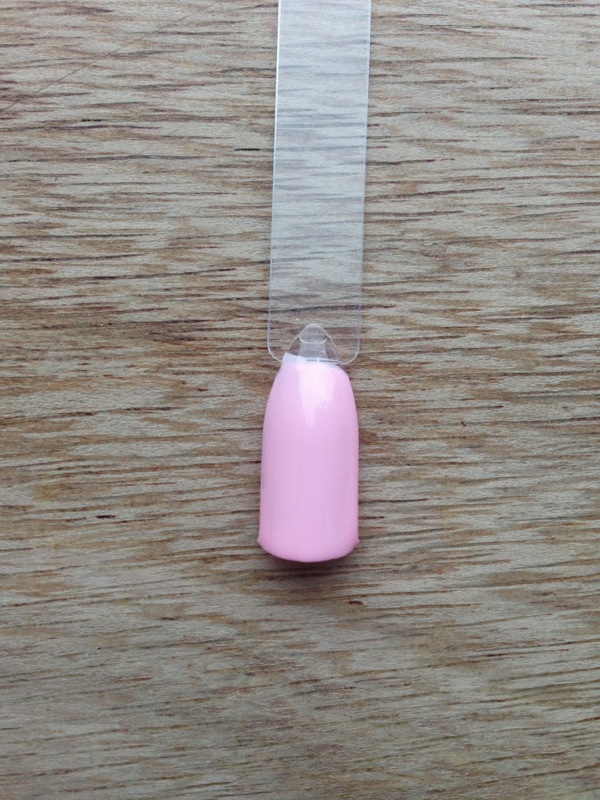 Swatch in natural daylight, 2 coats. 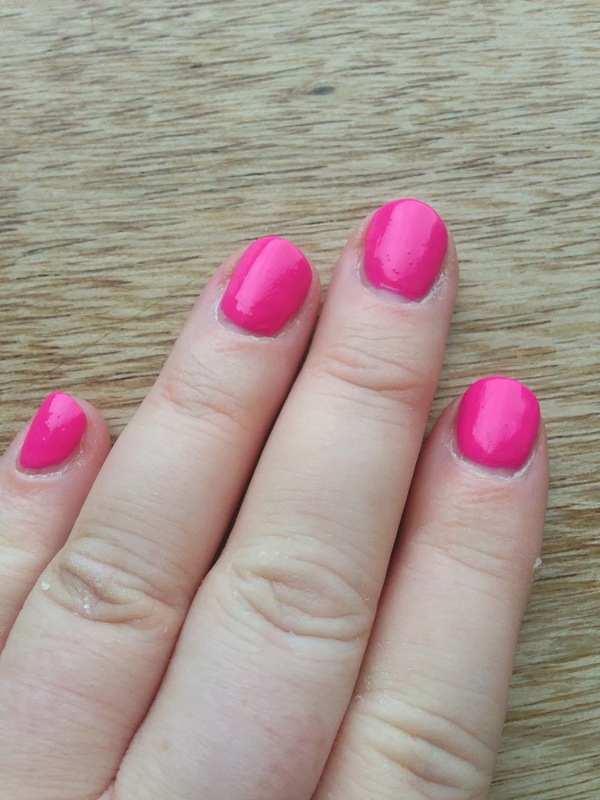 The first colour I tried out of my 3 was Cerise Shine, and the first thing I noticed about it was how odd it felt to apply, almost like when a nail polish is on the turn or going gloopy, it felt thick and sticky and didn't apply easily at all. There is no way I could have done just 1 coat, 1 coat was streaky, so once my first coat had dried I applied a second coat, again it felt odd to apply but did apply easier than the first coat. I let both coats dry and was quite happy with the finished colour. My nails with 2 coats of Cerise Shine. The finish is glossy but no more glossy than other polishes I own, but one thing I did notice was the polish bubbled, you may be able to tell from the photograph above especially on my middle finger. None of the other brands of polishes I own bubble and I always make sure each coat of polish I apply is dry before applying another coat as I know that not allowing polish to dry in between coats can cause bubbling, so I was a little perplexed as to why this had bubbled. The bubbling wasn't too bad though and was something I could cope with so it didn't bother me too much, but something that did bother me was the polish had chipped less than 24 hours after application and bearing in mind I am suffering from a medical condition and can't do anything apart from the odd bit of typing if I am writing a blog post, and it is literally a small paragraph or few lines every now and then because I can't manage any more than that. I was very surprised that the polish chipped so quickly, to compare to other polishes I own, I can get 7 days from an Orly polish and usually only change my polish because I fancy a change of colour after a weeks wear. My right hand 24 hours after applying. The chipping isn't horrendous but I expected more. I decided to try the Pink Veneer next but was so appalled at how it looked once dry I had to take it off after a couple of hours, I had caught my ring finger nail and smudged it but I would have lived with it had it not dried like this. As I said I caught my ring finger but the bubbling was horrific with this shade, I had to remove the polish so unfortunately I can't tell how how well it wore and longevity of the shade but I imagine since the formula is the same the wear time would be similar to the Cerise Shine. 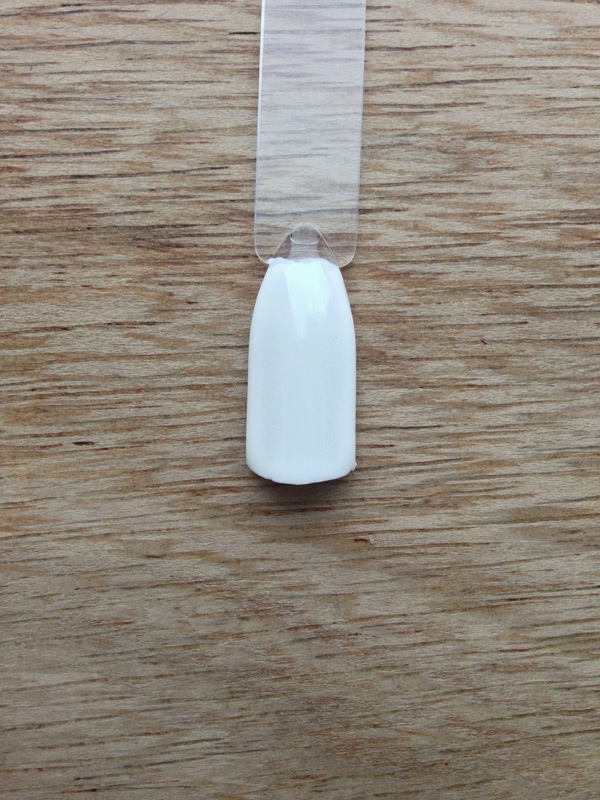 Overall I was extremely disappointed with the HyperGel polishes, in my opinion, they don't look like a gel manicure. The wear time wasn't great at all and even if it were, the bubbling I experienced was so bad I couldn't have worn a polish looking like that. I've been painting my nails for many years now and I always receive compliments on my nail polish application when I post a photograph to Instagram or write a post on a nail polish or nail art. 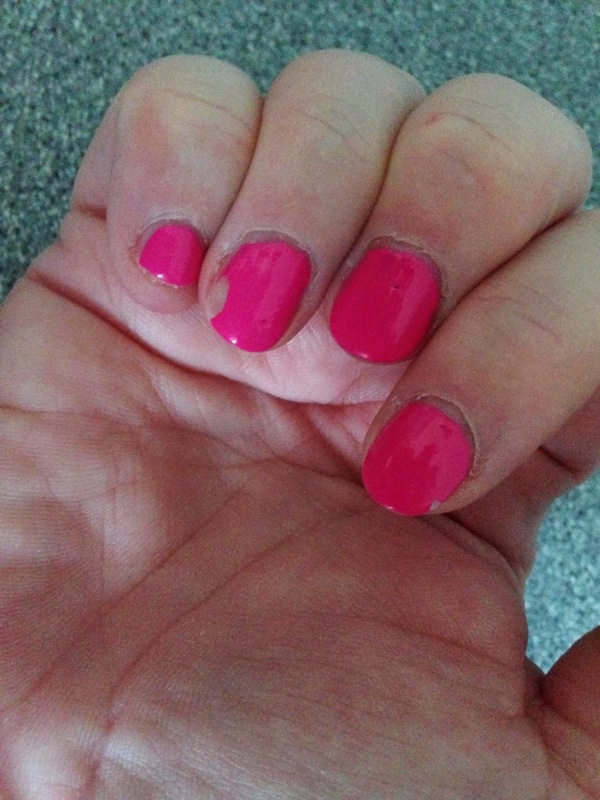 I am not a novice when it comes to applying nail polish, but I hated the way the HyperGel applied, it felt gloopy and sticky and despite other blog posts I have read there is no way on earth that one coat would have given an opaque finish. On this occasion I wish so much I had not succumbed to "blogger hype" I don't like anything about these polishes at all and from now on I will use them for nail art purposes only, dotting for example, if I use them at all, but I certainly won't be painting my nails with them. 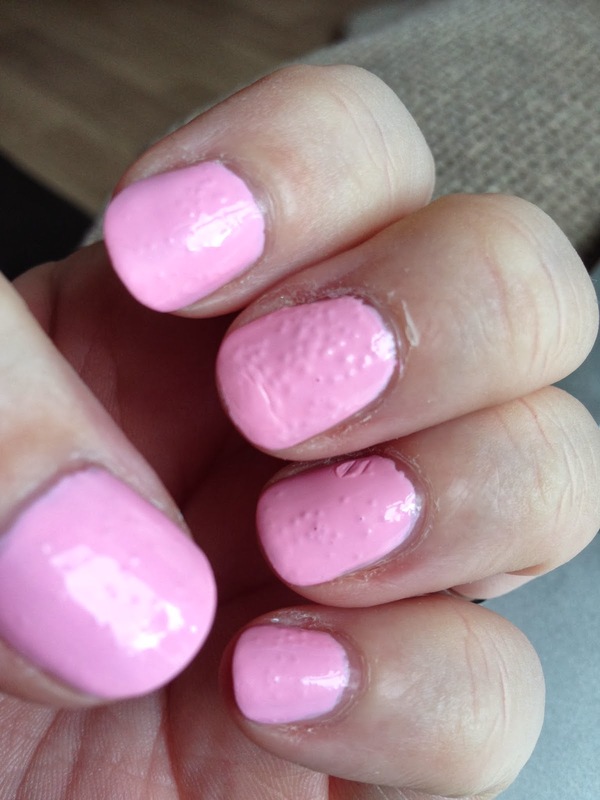 Cole also tried the Pink Veneer polish and she found it chipped in under 24 hours and also bubbled, although the bubbling wasn't as bad as on my nails, it still bubbled and she wasn't happy at all and said she wouldn't buy any more colours and won't be using the ones we have again. I am thoroughly disappointed in my HyperGel polishes and will not be purchasing any more colours, I am just glad I only wasted £7.50 and not £15.00 on them. That will teach me to listen to hype I suppose! 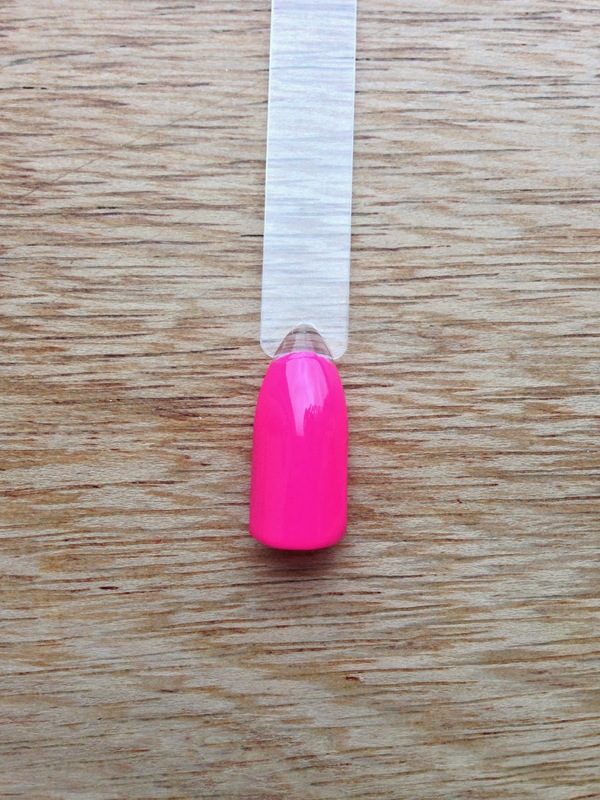 If for any reason you would like to try the HyperGel polishes they are available from Models Own here. What have you bought after succumbing to hype and regretted? Please let me know it will make me feel better!